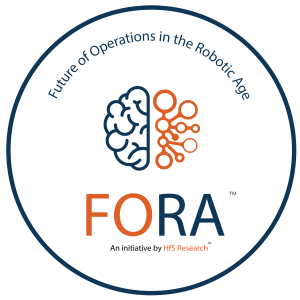 In 2017, HFS Research established the FORA Council, a private invitation-only council for leaders in the operations industry focused on shaping automation and AI solutions. Space is restricted for very senior executives tasked with driving critical automation and AI initiatives that impact their organizations and the industry at large. The quarterly council meetings will be held online, in an invite-only setting. Logistical information on the quarterly online meeting will be distributed well in advance to all the council members. Based on the Leadership Council's findings for the meeting, HFS will create a quarterly mandate which we publish on our website, listing the council members who participated in the discussion. Don't see your company represented on the list below? Contact HFS to learn more. * A number of companies have been taken off the list by request. Prefer not to be listed? Let us know.